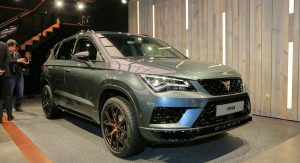 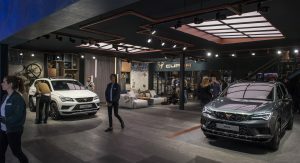 Seat’s recently launched performance brand has announced UK pricing and specification details of its first model, the Cupra Ateca. 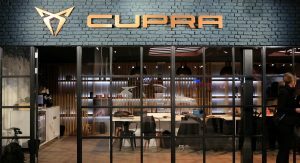 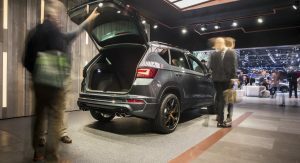 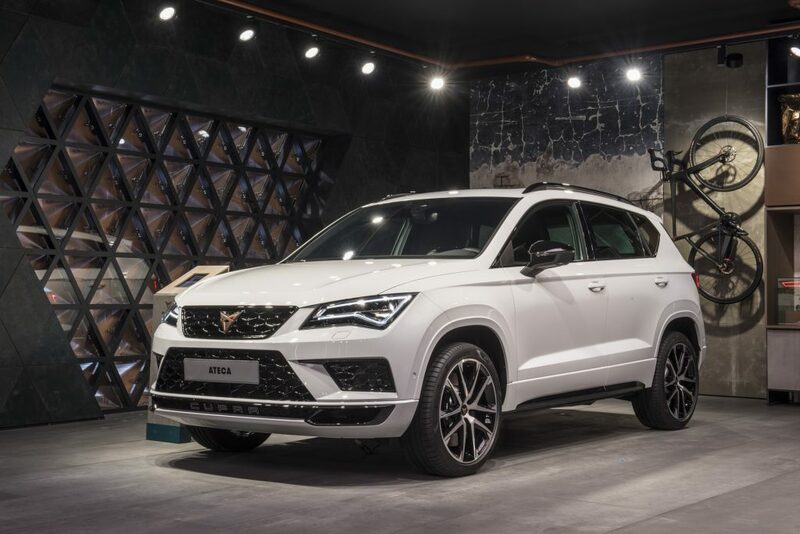 The new Cupra Ateca is priced from £35,900, and that includes metallic paint and the new Cupra Care service and maintenance package as standard. 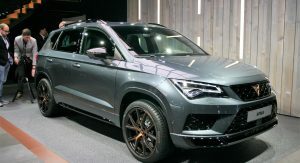 The latter includes the first three scheduled services, a brake fluid change, the car’s first MOT, European roadside assistance cover and maintenance jobs such as brake repairs, wiper blades, air-con service and key fob battery replacements. 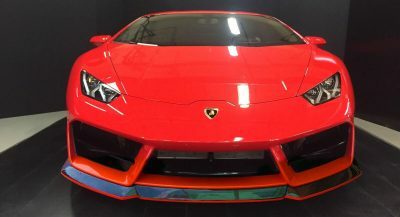 The pack also includes repairs to areas like the engine, transmission, suspension, electrics and cooling. 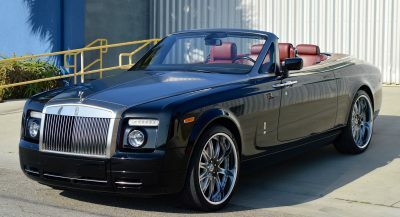 Standard specification includes a leather steering wheel with copper stitching, black Alcantara seats and matching door trim, exclusive 19-inch diamond cut alloys and plenty of gloss black detailing, both inside and out. 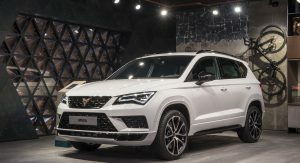 Other standard features include keyless entry and start system, wireless charging, an eight-inch touchscreen infotainment system, DCC electronically controlled suspension and park assist. 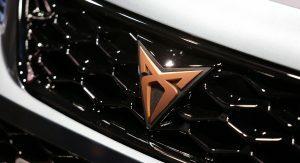 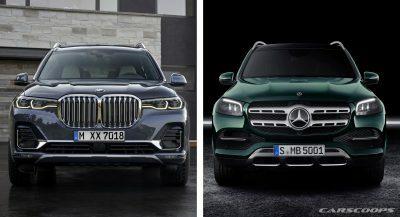 Customers will be offered the choice between six body colors: Energy Blue, Velvet Red, Brilliant Silver, Rodium Grey, Magic Black and Nevada White. 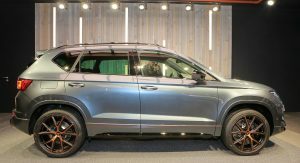 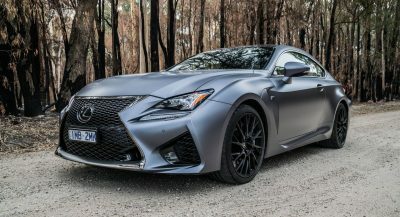 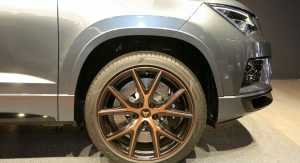 Options will include a Comfort&Sound Pack that features a Beats Audio system, a range of driver assistance systems and a Design Pack that adds 20-inch alloy wheels, Brembo brakes, a panoramic roof and a tow bar. 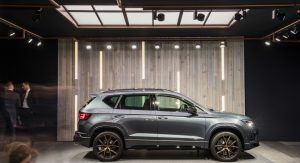 Seat says that the Cupra Ateca offers “the highest performance of any SUV available outside of premium manufacturers”. 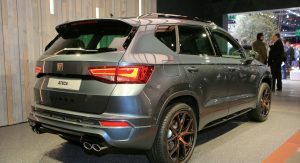 Power comes from a turbocharged 2.0-liter TSI engine that produces 296hp (300PS) and 295lb-ft (400Nm) of peak torque and is mated to a newly developed seven-speed dual-clutch transmission, said to offer “faster, smoother and more precise changes”, and all-wheel drive. 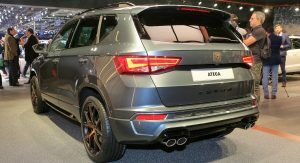 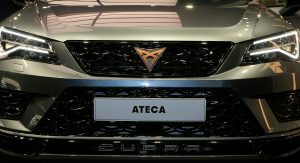 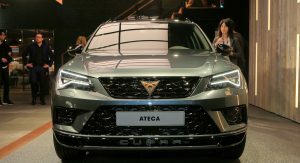 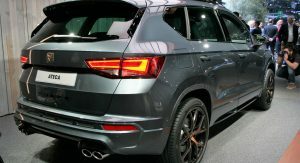 The new Cupra Ateca is capable of a 0-60mph in 5.2 seconds (0-100km/h in 5.4) while top speed is 152mph (245km/h). 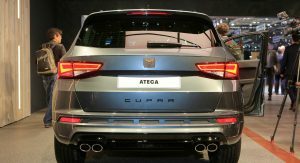 First deliveries are expected early next year. 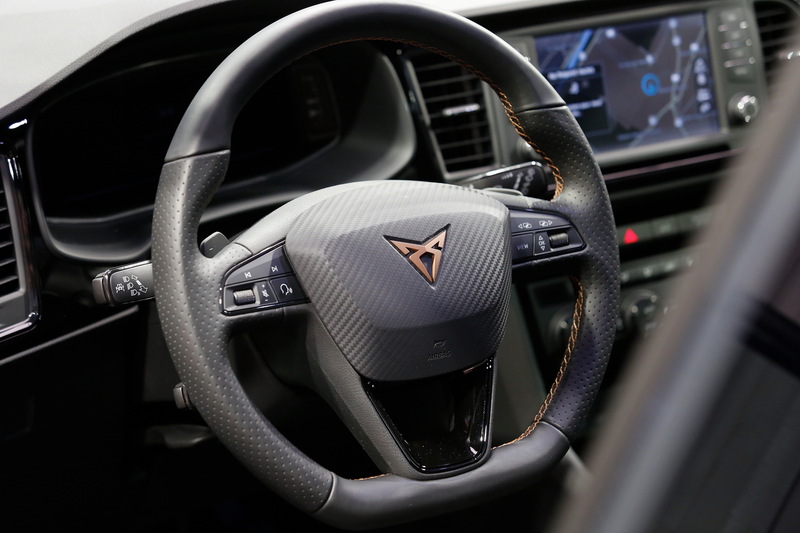 What a terrible logo to be staring at in the steering wheel whilst in the driver’s seat. 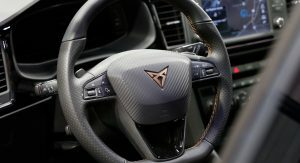 They might as well have left the steering wheel blank. 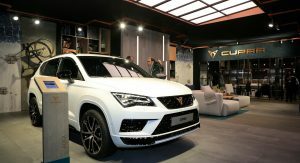 @Carmelo, you had the same reply (buhahaha…) whenever it was about Cupra Ateca. 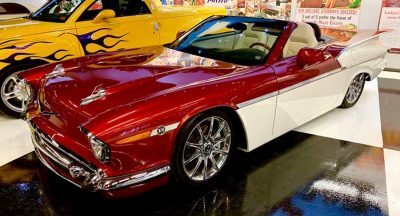 I found you as I checked many sites and I really appreciated the technical characteristics of this car!